Saypha Filler is used to treat moderate to severe wrinkles and facial contours. Saypha Filler is a temporary dermal filler that is made of hyaluronic acid and comes as a clear, viscoelastic, and homogenized gel solution. Hyaluronic acid is an essential component of the skin and plays a role in maintaining dermal moisture, elasticity, and firmness. This product is made by Croma-Pharma GmbH, an Austrian company that specializes in the aesthetic field, making products like cosmetic fillers and skincare masks. 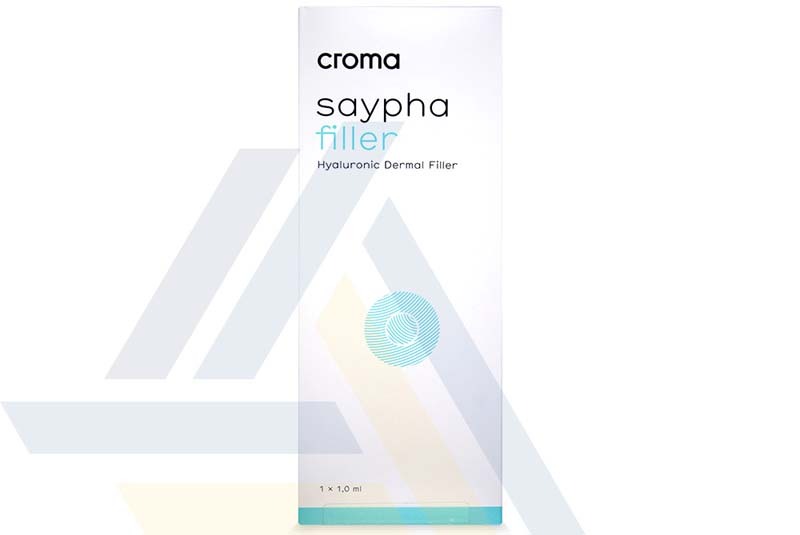 Saypha Filler is made of cross-linked hyaluronic acid at a concentration of 23ml/mg. Saypha Filler is used for the correction of deep lines and saggy or aging skin, and it can also be used to contour the face. Saypha Filler can be used on all skin types, from dry to oily, normal, sensitive, and acne-prone skin. The effects of this filler last for 6 to 9 months. However, the filler’s effects and the duration of these effects can vary from patient to patient. Saypha Filler can cause some side effects such as redness, tenderness, swelling, or bruising at the injected area. These effects are typically mild and should subside on their own within a week. This filler should only be injected by a health care practitioner with relevant raining and expertise. The filler should only be injected in healthy, non-inflamed skin. Patients should not touch the area they had treated with Saypha Filler, as following this instruction will help ensure that there is no product migration, which is an issue that can potentially cause serious complications.